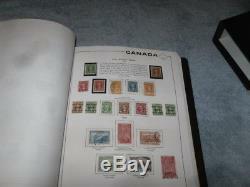 Canada 1851->1986+BOB+Provinces M+U Collection in Scott Album w. Album in very nice condition and slip case just a couple of marks. 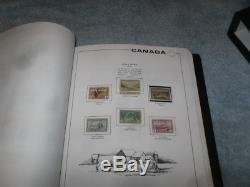 Reg, dues, war, officials, Provinces. 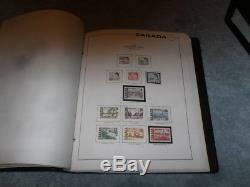 Mix of appropriately hinged stamps and some in mounts with both used and mint stamps throughout. 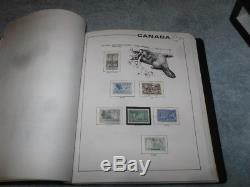 Tagged 5 MH; Semis 2U, Air 2MH, 6U;SpDel 4U;Reg 2U, Dues 3U, 11MH; War 1MNH, 1MH, 3U; Offic 16U, 7MH. 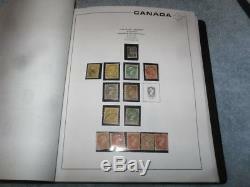 New Brunswick 2 MNG; Nova Scotia 3 MNH, 1U; PEI 1MNH, 2MH, 1MNG; nEWFOUNDLAND57 U, 40 Mixed mint. 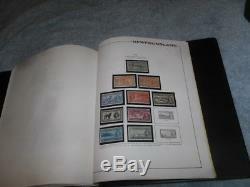 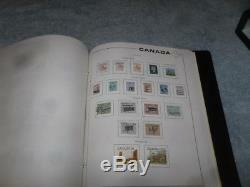 Pictures show just a few of the pages and stamps. 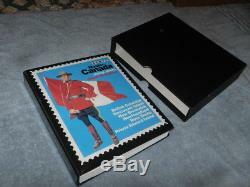 The item "Canada 1851-1986+BOB+Provinces M+U Collection in Scott Album w. Slipcase" is in sale since Monday, December 17, 2018. 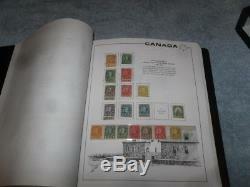 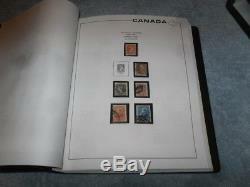 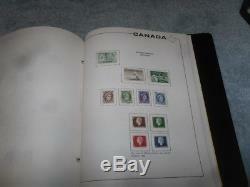 This item is in the category "Stamps\Canada\Collections, Lots". 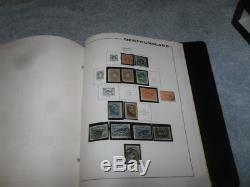 The seller is "bipsuk" and is located in Cary, North Carolina.